The Orlando Film Commission is proud to be a sponsor of the 27th annual Florida Film Festival. The festival kicks off on Friday, April 6th at the Enzian Theater in Maitland. Festivities kick off with an Opening Night Film and Party, which includes the premiere of American Animals and Q&A with the film’s star, Miami’s own Blake Jenner. The film is followed by the always popular opening night party that includes incredible restaurants, bars and vendors from across Orlando and beyond. Events continue throughout the festival for ten days, including the Festival Block Party, two Sunday brunch buffets, an evening with the fantastic Pam Grier and a showing of Quentin Tarantino’s Jackie Brown. Forums throughout the festival feature screenwriters, filmmakers, and women in film, as well as filmmaker and industry parties. At the closing Awards Bash, the winners of the festival are announced. 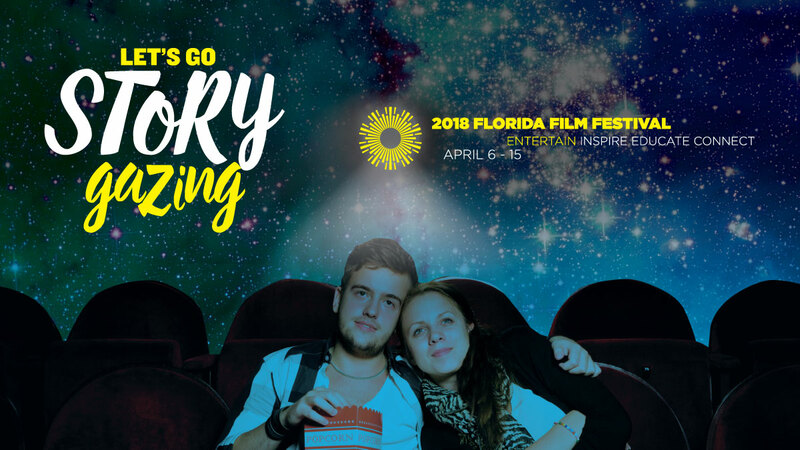 Did you know that the Florida Film Festival is the only Oscar-qualifying film festival in the state of Florida? If a film wins the Grand Jury Award in the Live Action, Documentary or Animated Short categories, it will automatically qualify to enter the following year’s Academy Awards®. With over 180 films, more than 20 world premieres and 35 countries represented, everyone is guaranteed to find something to suite their cinematic tastes. Most importantly to the Orlando Film Commission, this year’s festival features over 40 titles with direct ties to the Sunshine State and many connected to Orlando. While the Film Commission supports film-making as an international art, projects with local connections are especially close to our heart; amazing projects continue to be produced both in Florida and by those who have called Florida home. Knowing the hard work that local cast and crew put into films is what drives us to continue promoting the Orlando region as one of the best places to film any project. If you have any questions or would like to meet with a team member from the Orlando Film Commission at the Festival, please reach out to Lindsey Sandrin here.